Title: Location of the German detonation device for the destruction of the Waal River Bridge at Nijmegen on the 20th of September 1944. 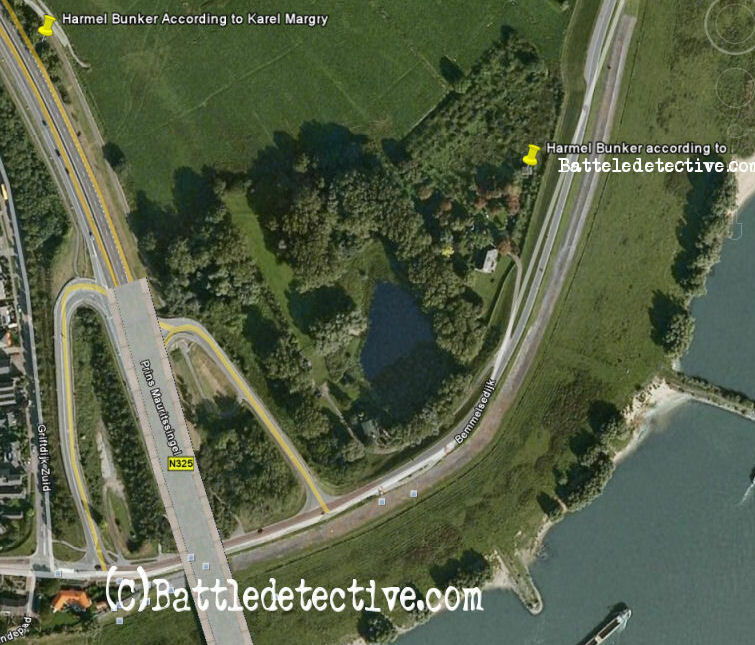 Investigation made at: Nijmegen and Lent, The Netherlands. The scene in the 1977 war movie "A Bridge Too Far" where "General Ludwig" (an assumed name for General Heinz Harmel) gives the order to blow the bridge across the Waal River at Nijmegen, The Netherlands, at the very moment Allied tanks roll across it, has become a classic. We captured the essence of this spine-chilling scene in the above animation. For the whole scene, click here! "A Bridge Too Far" is based on author Cornelius Ryan's book with that same title. The scene at the Nijmegen bridge is the Hollywood depiction of an event that actually took place on the 20th of September 1944. 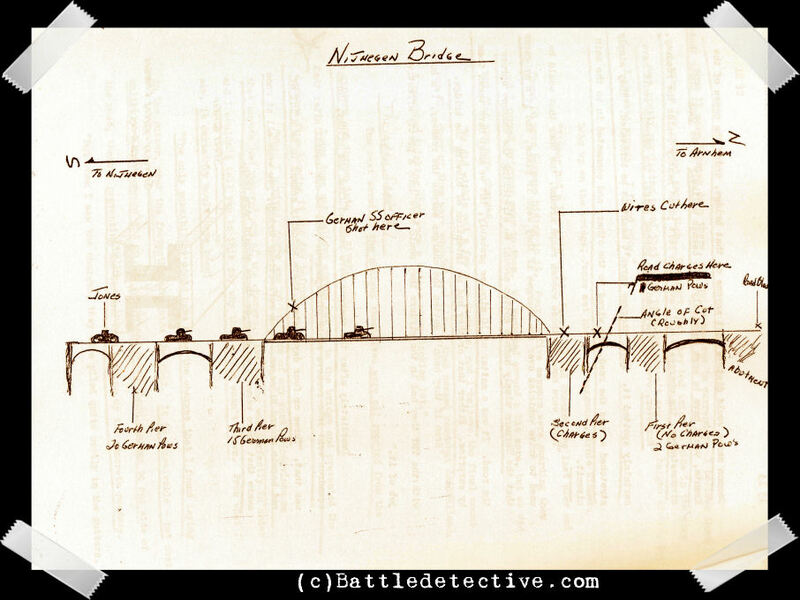 Much has been written about the reason or the cause for the Nijmegen bridge to remain intact. In this Battle Study we investigate only a limited aspect of the events near the bridge. Where were the general and his detonator-operator when he ordered the bridge to be blown? 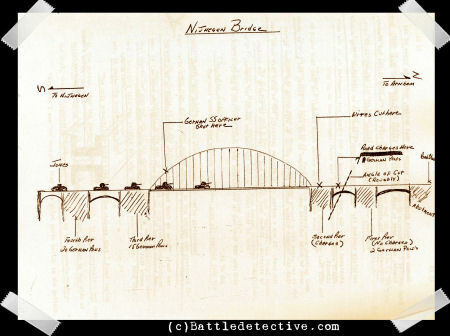 The capture of the bridge at Nijmegen was part of an Allied operation named Market Garden. 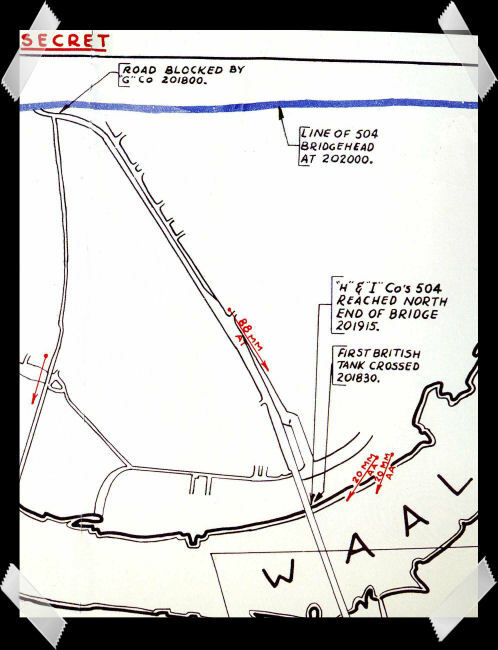 This operation was already in its fourth day and the plan dictated this river crossing to be in Allied hands at least two days earlier. On D+3 of the operation, American paratroopers of the 504th Parachute Infantry Regiment paddled across the Waal River, in small fabric-walled boots, originally designed for bridging engineer units. Once across the river, they attacked the bridge from its Northern ramp. Meanwhile, their sister-Regiment, the 505th, fought its was through the city of Nijmegen, to capture the bridge from it Southern approach road. 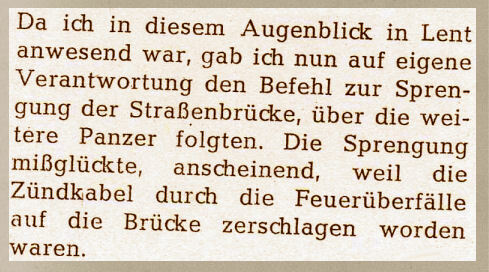 German SS General Heinz Harmel of the 10th SS Armored "Frundsberg" Division had been given the task to attack American paratroopers in the Nijmegen area. In a very early stage of Operation Market Garden, the Germans understood the intention of the plan. The saw that the city of Arnhem and its bridge across the Rhine River was the main objective. The last large river span, before reaching Arnhem, was the one at Nijmegen. 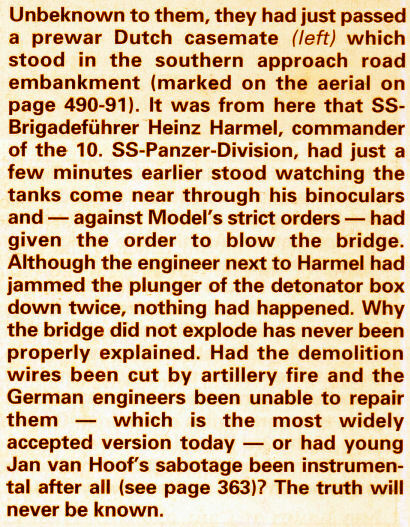 It was for this reason that Harmel asked his superior, Field-Marshall Model, for permission to destroy the Nijmegen bridge in the event the Allies succeeded in capturing it. Model, however, refused this order and told Harmel to hold the bridge at all cost. The Nijmegen bridge had, in the previous years of German occupation of the Dutch city of Nijmegen, been prepared for demolition. Blocks of explosive material, custom-shaped to fit inside the steel girders of the bridge, had been mounted on critical sections of the bridge. The detonation device had been placed on the Northern bank of the Waal river. The reason for this, was that the Germans expected attacks on the bridge to come from the South. A few moments later he ordered the bridge to be blown, only to witness the detonating system to malfunction and the road bridge to remain intact. After World War Two, in Holland a nationwide discussion developed about why the Nijmegen bridge was not destroyed by the Germans. A Dutch government Enquiry Committee was formed to investigate the claim that a local Nijmegen resistance fighter, named Jan van Hoof had cut the wires and by doing so, made it impossible for the Germans to blow it up. 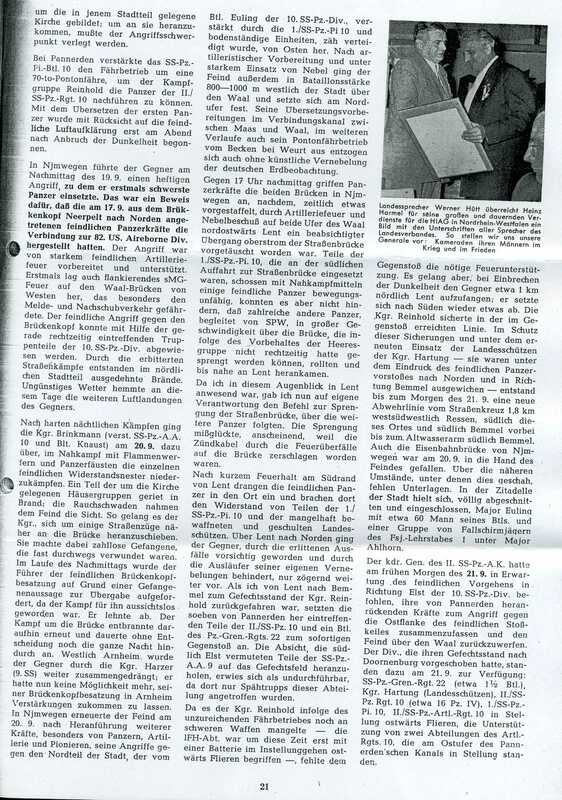 Volumes have been written about the role of Jan van Hoof and the Enquiry Committee's 1951 report is a large one. As stated earlier, this Battle Study will not focus on this aspect. We refer our viewers to Dutch official World War Two historian Dr. Lou de Jong's summary of the Committee's findings. 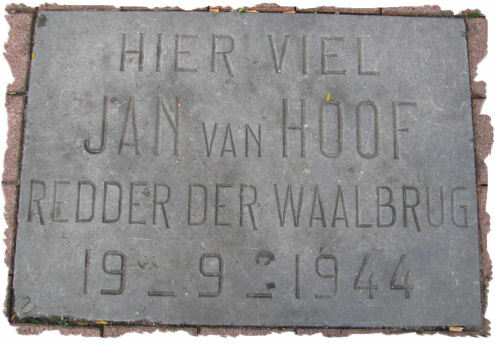 "On this spot Jan van Hoof, savior of the Waal River Bridge, fell, September 19th, 1944"
"This is the first account of the German attempt to destroy the Nijmegen highway bridge. 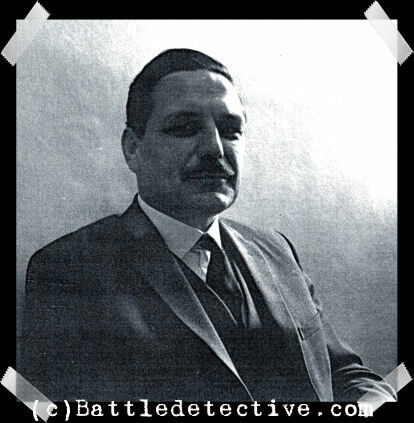 General Harmel had never before given an interview to anyone on the subject." 'I now gave the order, on my own responsibility, to blow the road bridge, over which further tanks continued to advance . It failed to go up � probably because the initiation cable had been cut by artillery fire'. 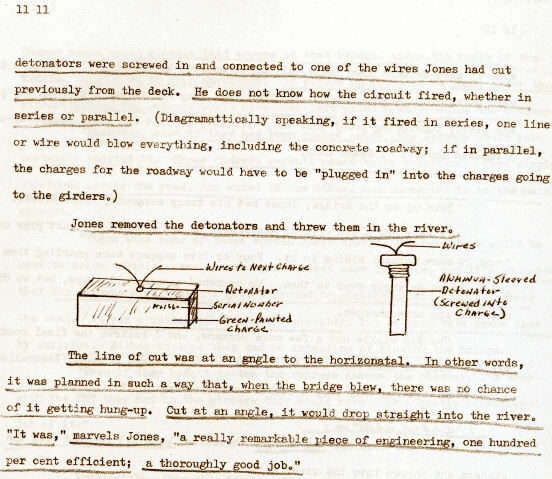 Adding to the confusion that still remains in relation to what prevented the bridge from being destroyed, is the account of Lt. Col. A.G.C Jones (a 1st Lieutenant in 1944), troop commander of No. 14 Field Squadron, Royal Engineers. In September 1967, Jones was interviewed for Cornelius Ryan's book A Bridge Too Far. 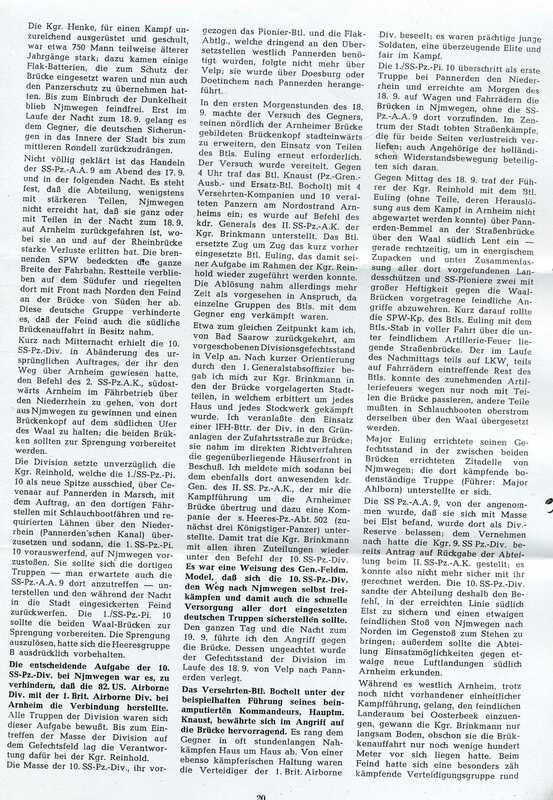 During the course of the investigation of the Dutch Enquiry Committee, no relevant German sources where consulted or interviewed. 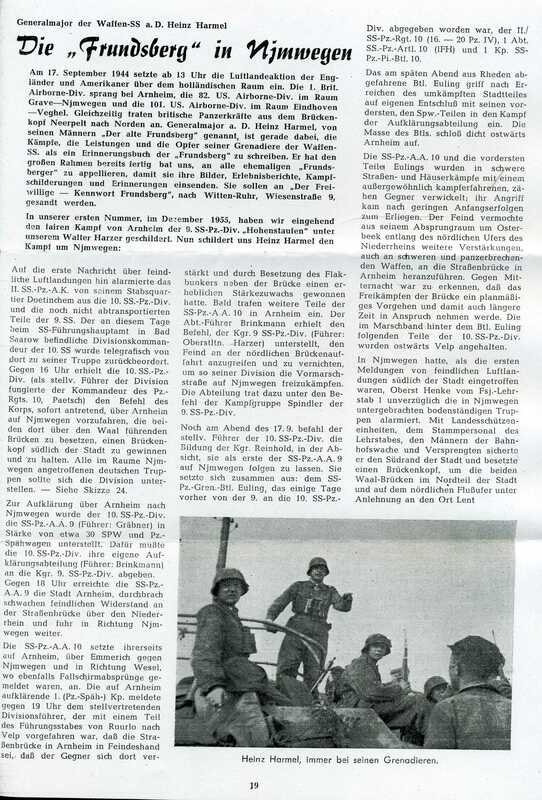 If General Harmel would have told his story to the Committee, as he told it to Cornelius Ryan, the conclusion that it was Field Marshall Model's order that saved the Nijmegen bridge, would have never found its way into the official report. 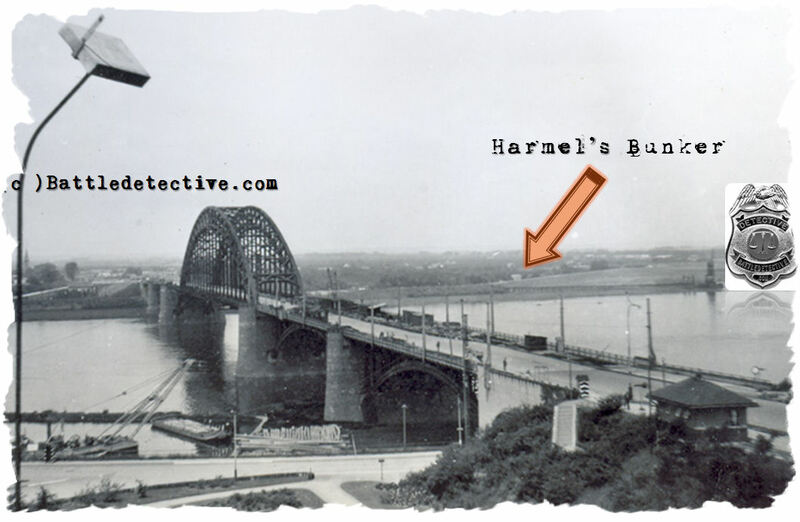 We will now focus on the exact location where General Harmel watched the British tanks cross the Waal River road bridge and ordered the operating engineer to crank the handle of the detonating device. Location in movie "A Bridge Too Far"
We found this location unlikely for the spot where Harmel watched for the right moment to gave the order for the demolition of the bridge. "Binoculars to his eyes, he stood on the roof of a bunker near the village of Lent. From this position on the northern bank of the Waal barely a mile from the main Nijmegen highway bridge, he could see smoke and haze off to his right and hear the crash of battle." The detonator for the highway bridge was hidden in a garden near the bunker at Lent, and a man was stationed there awaiting orders to press the plunger." closer." He yelled to his anxious staff, "My God, they'll be here in two minutes!" This account is based on the interviews that Ryan had with Harmel on November 2nd and 22nd and on December 6th, 1967. A transcript of these interviews is kept at the University of Ohio in, Athens, Ohio. I had come alone, driven there by my driver Hinterholzer. 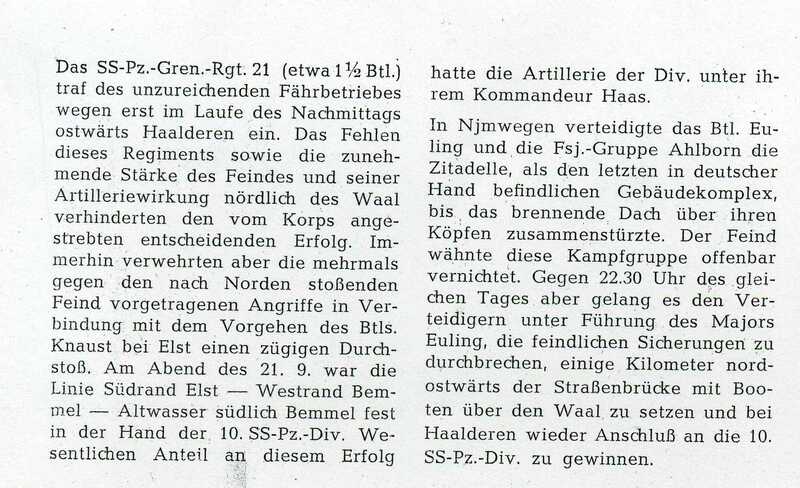 It was on the 20th, about 18:30 when I first received a report that the British tanks had reached the southern bank of the Waal and that they were starting over the bridge. Almost simultaneously the message reporting this heavy smoke screen arrived. 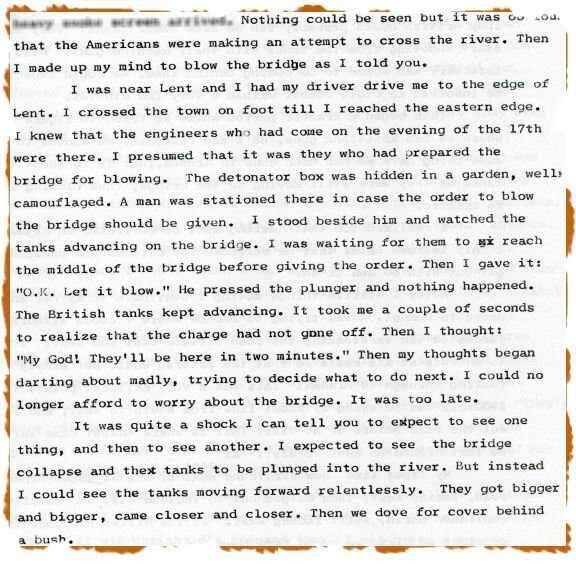 Nothing could be seen but it was obvious that the Americans were making an attempt to cross the river. Then I made up my mind to blow the bridge as I told you. I was near Lent and I had my driver drive me to the edge of Lent. I crossed the town on foot till I reached the eastern edge. I knew that the engineers who had come on the evening of the 17th were there. I presumed it was they who had prepared the bridge for blowing. The detonator box was hidden in a garden, well camouflaged. A man was stationed there in case the order to blow the bridge should be given. I stood beside him and watched the tanks advancing on the bridge. I was waiting for them to reach the middle of the bridge before giving the order. Then I gave it: �O.K. Let it blow.� He pressed the plunger and nothing happened. The British tanks kept advancing. It took me a couple of seconds to realize that the charge had not gone off. Then I thought: �My God! They�ll be here in two minutes.� Then my thoughts began darting about madly, trying to decide what to do next. I could no longer afford to worry about the bridge. It was too late. It was quite a shock I can tell you to expect to see one thing, and then see another. I expected to see the bridge collapse and the tanks to be plunged into the river. But instead I could see the tanks move forward relentlessly. They got bigger and bigger, came closer and closer. Then we dove for cover behind a bush. When the bridge did not explode we took cover. We knew that the British could probably see us from their tanks. They might start shooting from the tanks with their machine guns. Also the infantery (sic) was bound to be coming behind them. We could expect to be involved in close combat within a very few minutes. After I started things moving I went back to my car and drove to Bemmel. 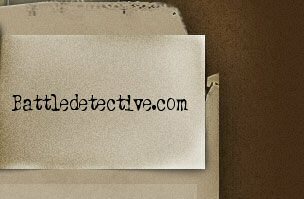 Our investigators interviewed the property owner. He explained us that today the casemate belongs to a private owner and although it is situated within his land, he has to grand the owner passage to it. Apart from any legal ownership issues we could definitely see that from the garden of the house, one has a clear view of the traffic on the road bridge. On this photograph from 1940 we can see the Dutch casemate on the North bank of the Waal River. The casemate was designed to protect the bridge but it could not prevent its capture by the Germans in their 1940 Blitzkrieg war. From the details in his interview with Cornelius Ryan for A Bridge Too Far, it is our theory that General Harmel observed the road bridge at Nijmegen by elements of the Grenadier Guards from the casemate on the north bank of the Waal river that was, and still is, located in the garden of the house on No.5 Bemmelse Dijk in Lent, Gelderland province, The Netherlands. It was from the garden around this casemate, which has the designation "LENT B 676" in the Dutch Real Estate Registry ("Kadaster") that he gave the command to operate the detonator connected to the explosive charges under the bridge..
1 Looking north across the Waal River and the Nijmegen road bridge. The location is the same as in the 1940 black and white photograph, taken from the Belvedere tower. The piece of artillery is a German PAK antitank gun left behind after the battle for the southern approach ramp of the bridge. 2 The large river span at Nijmegen was built in the 1930's and remains unchanged today. 3 The road bridge and the northern river bank, known as the Bemmelse Dijk. 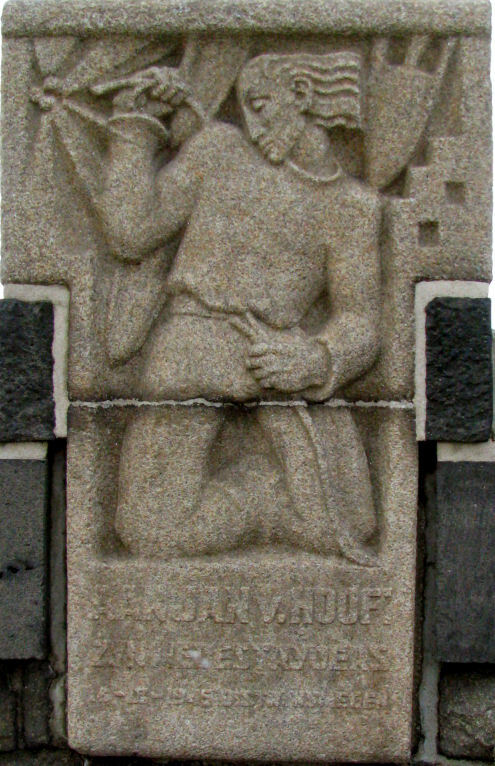 4 The monument for Jan van Hoof and the river levy. Through this grassy area the detonation lines led to the casemate behind the river dyke on the top right of the photograph. May 25th 2014 UPDATE: Because of a gigantic Dutch government water management named the "Room for the River Program" the terrain behind the river bank at Lent with both the casemates described here, has changed dramatically. Purpose of the program is to give the Waal River near Nijmegen more room to be able to manage higher water levels. At many locations, measures will be taken that give the river space to flood safely. For the location at Lent it meant that the house and the garden near the casemate were flattened. The casemate itself will be preserved as a landmark. As per the writing of this update, 24 MAY 2014, the area around the casemate is off limits and dangerous due to quick sand.